The wait staff were very efficient at the wedding function. Great place for a function if having a good time is more important than the food. Entree I think was steam bathed, rolled chicken breast which was chunky and lacked flavor, both in itself and in the condiments it was served with. Ditto for desert. The grilled fish and lamb options served for mains saved the food, well cooked and with flavor. Definitely a bonus staying afterwards. 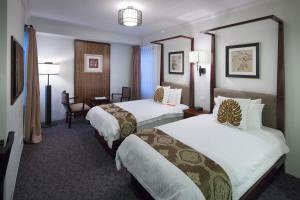 I've been here before, and now the rooms look like they have been modernized and as always, very clean. The room was very clean and comfortable, I loved the free mini bar, what a great touch. Beautiful furnishings. Large room with fantastic bathroom. Great location, great feel, Asian style made me feel like we where in Bali but here at home. Loved it. Restaurant very accommodating of a food allergy. Great staff. We like the pool, the very friendly staff, the room set up was perfect for families as we had our own kitchen/washing machine/dryer. We liked the river side location although for International or interstate tourists the location may be a little out of the way as it’s not in the city or close to fremantle. But this suited us as we enjoyed exploring the river and the park next door was great for the kids. There is also a good Street about a 5 min walk away with great cafes and a supermarket. 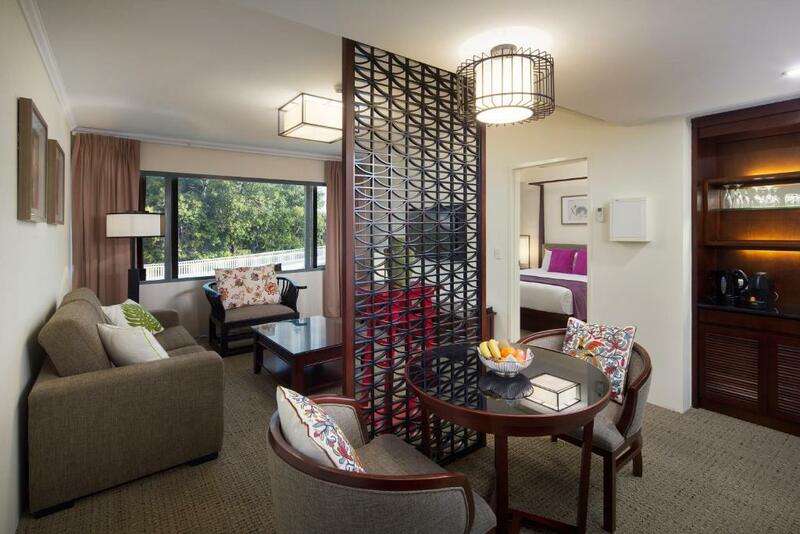 Lock in a great price for Pagoda Resort & Spa – rated 8.7 by recent guests! Pagoda Resort & Spa This rating is a reflection of how the property compares to the industry standard when it comes to price, facilities and services available. It's based on a self-evaluation by the property. Use this rating to help choose your stay! 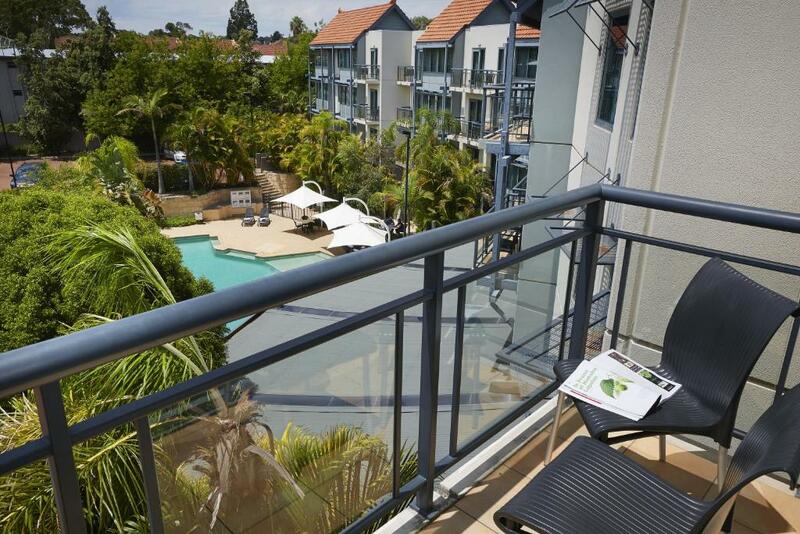 Overlooking Perth’s famous Swan River, Pagoda Resort & Spa offers a choice of guest rooms and fully self contained apartments with views over the river, parkland or poolside gardens. Guests enjoy a heated swimming pool, a sauna and a fitness center. All guest rooms and apartments are serviced and most offer a spa bath. Free WiFi is offered throughout the hotel. You can dine at Pagoda Restaurant or share an evening cocktail at the bar. Guests enjoy free canapes at the bar on weekdays between 17:00 and 18:00. All apartments offer full kitchen facilities and are equipped with a free mini-bar. Each has a desk, a TV with satellite channels, tea and coffee making and ironing facilities. 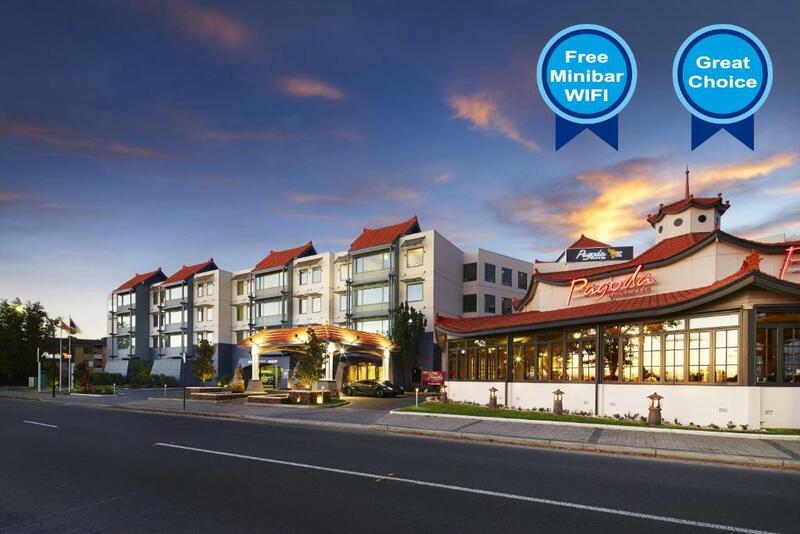 Pagoda Resort & Spa are just 5 minutes' drive from Perth's city center and approximately 20 minutes' drive from Perth Airport. There is a free shuttle bus to the city center, which operates on weekdays from 08:30 until 10:30. When would you like to stay at Pagoda Resort & Spa? This Superior Room features 1 King bed and private bathroom with a corner 2-person hot tub. There is an LCD TV with satellite channels, a work desk with lamp and ergonomic chair. The room features either a river view or a balcony, please note this is subject to availability. This spacious Deluxe Room features either 1 king or 2 single beds. There is an private bathroom with a hot tub, a large LCD TV with satellite channels, a sofa and table and chairs. Most rooms feature a balcony, please note this is subject to availability. Self-contained and serviced daily, this 1-bedroom apartment features a private bedroom with an private bathroom that has a spa bath. There is a living area with a dining table and chairs, sofas and a large LCD TV with satellite channels. A fully equipped kitchen and a washing machine/tumble drier are included. The fully-self contained 2-Bedroom Apartments are serviced daily. 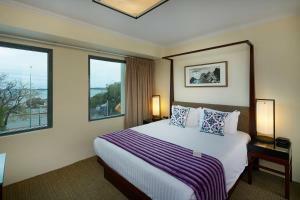 Each bedroom has a private private bathroom and LCD TV. The living area has a sofa and large LCD TV with satellite channels. There is a fully equipped kitchen, dining table and chairs and a washing machine/dryer. Some apartments feature balconies, please note these are subject to availability. This room features a 2-person spa bath, a mini-bar and a king size bed. This double room features disabled access facilities. The bathroom has a walk in shower only. This superior, spacious suite includes a king-sized bed and a private private bathroom. This suite features a private bedroom with a king-sized bed, LCD TV and an private bathroom. It also includes a living area with a lounge, dining table and chairs, work desk and a 55-inch LCD TV with satellite channels. 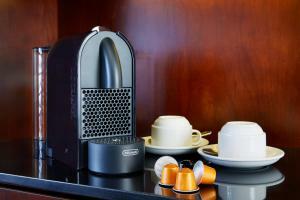 A Nespresso coffee machine with free capsules and a mini-bar with snacks includes, are provided. 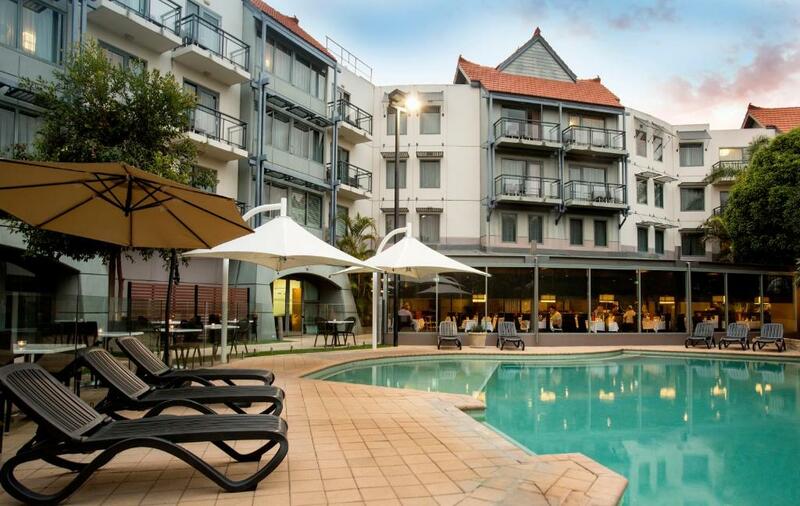 The 4.5 star Pagoda Resort & Spa is situated in the vibrant City of South Perth, just minutes from the central business district of Perth and nestled on the banks of the Swan River, providing a central and convenient location for the leisure or business traveller. Pagoda team members all have one thing in common, aside from their wealth of experience: a burning desire to create a different and diverse set of experiences for guests. Area Info – This neighborhood is a great choice for travelers interested in relaxation, shopping and beaches – Check location Great location - show map Guests loved walking around the neighborhood! House Rules Pagoda Resort & Spa takes special requests – add in the next step! A AUD200 damage deposit is required on arrival (around USD143.03). This deposit will be fully refunded 0 days after check-out, as long as there isn't any damage to the property. Debit card Pagoda Resort &amp; Spa accepts these cards and reserves the right to temporarily hold an amount prior to arrival. Pagoda Resort & Spa accepts these cards and reserves the right to temporarily hold an amount prior to arrival. Please note that there is a 1.35% charge when you pay with a Visa and MasterCard and UnionPay credit card. Please note there is a 3.25% charge when you pay with a Diners credit card. Please note there is a 3.4% charge when you pay with an American Express or JCB credit card. Please note that this property requires a $100 credit card pre-authorization or $200 cash deposit upon check in to cover any incidental charges. This is refundable on check-out. A damage deposit of AUD 200 is required on arrival. That's about 143.03USD. You should be reimbursed on check-out. We paid twice for breakfast. The food was absolutely delicious. Staff were amazing. Regular items in fridge appreciated. Pool very pleasant and heated. Nothing to do with the Pagoda, but walking outside for exercise is a bit tricky as cyclists in lycra are everywhere thinking they are doing the Tour de France. Be prepared to walk against the traffic for safety! The pagoda is my favourite place to stay when in Perth. Centrally located easy access to the city and other areas. Great functional, comfortable and clean rooms. The bar and dining is excellent with a great range for breakfast. Staff are friendly and helpful. The barman said coffee machine wasn't working that night when we asked to buy a latte yet in the morning they made me one so clearly it was that he couldn't make them. Was very happy with room and mattress was very comfortable. The only down point I can think of is that there were four adults staying in our two bedroom apartment, but only two bottles of water provided. These were topped up upon request. I liked the size of the rooms and décor in our apartment. We had all facilities we needed, even a washing machine in one of the bathrooms! The bathroom is too crowded and needs a shower curtain or something over the spa so when you have a shower nothing gets wet, it was also very small in the bedroom not much space to move. Breakfast wasn't worth the money. It was cold and frozen re-thawed tasting. Cold. We had dinner at the restaurant our drinks took forever and the creme brulee was not fresh. The check in process was smooth and friendly. The room was spacious, clean and comforting. Long wait at check-in, very very long wait for cocktails, nor could the bar staff make me a cocktail that wasn't on the list, despite having the ingredients on the shelf. Shower was slow, coffee could have been hotter. Key card to enter the room constantly did not work, had to trip back down to the check-in to fix card, being told not to put it next to our mobile phone was pretty useless as regardless of whether we took our phones with us of left them in the room, the keycard still refused to let us into the rooms and we had to have them fixed at check-in every time. Friendly service, very comfortable bed, nice size room, good coffee, lovely view, pool was very good, not cold, not too warm. Breakfast was adequate for the price, cocktails were okay.